NDK (my Neurotic Disney Kid) has been furiously reading in preparation for summer! Thanks to Disney Books, her nose has been buried in books every day. Today we share one of her most favorites, Charlie and Frog: A Mystery by Karen Kane. Charlie and Frog: A Mystery, is about two totally opposite kids, Charlie and Frog. Frog is bold and adventurous, and has a nose for trouble. She is also deaf and has to use American Sign Language or ASL. She wants to become a world-famous detective. Then there’s Charlie. Charlie is slightly timid and looks to stay out of trouble. All he wants is for his parents to stay home with him, but they are off helping giant golden moles in South Africa. Charlie is left with his grandparents who are completely addicted to TV, so they never really know what Charlie is doing! One day while Charlie is at the library, a lady tells Charlie, frantically, something in ASL. Charlie had no idea what she was telling him! Charlie asked the librarian if she understood the frantic lady’s message, and she did not. But the librarian knew who would! The librarian sent Charlie on a mission to find Frog, an expert in ASL. 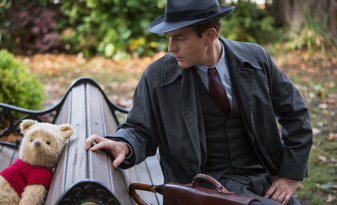 Charlie set off for Castle-On-The-Hudson to meet Frog. 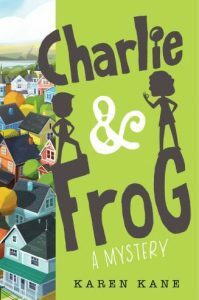 When Charlie finally meets Frog, she jumps at the chance to start an actual mystery! I love mysteries, so Charlie and Frog: A Mystery was a great choice for me. This book also teaches me some ASL! I love learning new things, so this was fun. It’s not a mystery that will keep you on the edge of your seat, but there are a few suspenseful parts. I also like the characters – they all had their own personalities and were fun. I liked following their adventure. If I could be one of the characters I would be Frog. I would be Frog because she is a great detective. She is really good at solving puzzles – I wish I could be that good! She also knows every single ASL sign – that’s amazing. It would be cool to have Frog and Charlie as friends. It’s hard to choose my favorite part because I loved the whole entire book! But if I have to pick a favorite part, I would choose when Charlie tried to bake with his grandparents. Because his grandparents only want to watch TV, Charlie has to come up with a plan to get his grandparents to bake with him. Since they love TV so much, Charlie created a “cooking show” so his grandparents would be “on TV” and bake with him. This chapter was funny because Charlie was so creative with his idea – and it worked! There was nothing I did not like because I LOVE THIS BOOK!!! I recommend this book to kids my age (I’m 10) who love to learn new things and love mysteries. There was nothing scary or inappropriate, just some of the words may be pronounce or understand. This is a fun, creative book that is perfect for summer vacation reading. 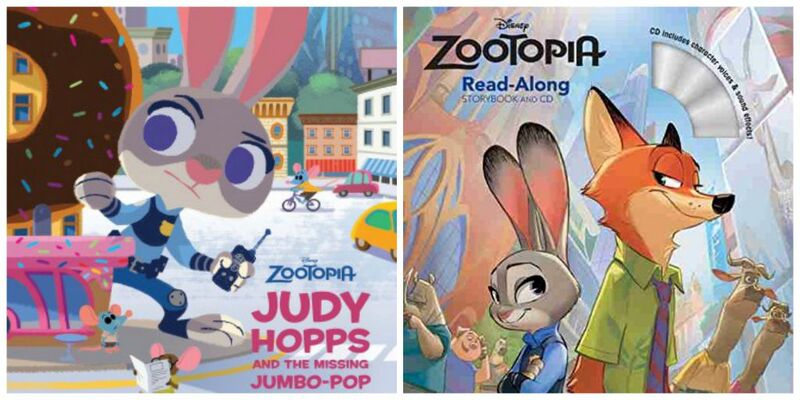 I have a few more books to share for summer reading, too, so stay tuned! I’m NDK and this is my review!